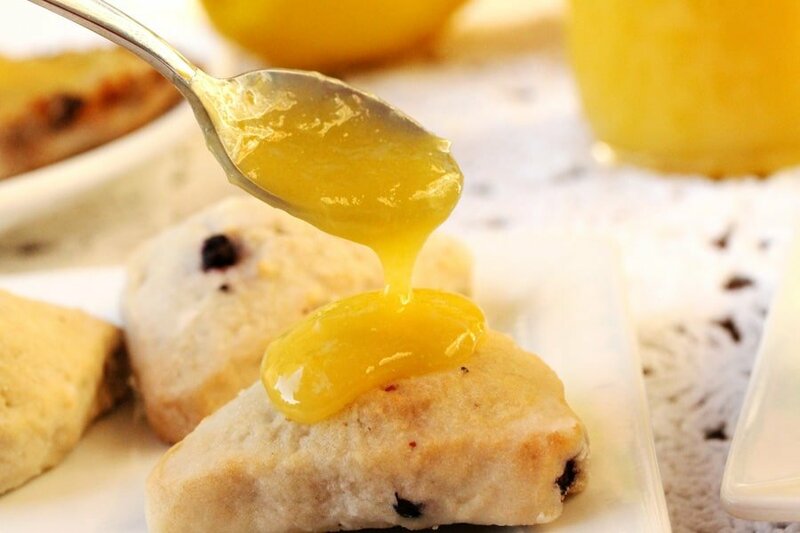 Lemon Curd really deserves a more delicious sounding name because it is soooo good.The “Lemon” part of the name sounds fresh and delicious. But the “Curd” part of the name just doesn’t have a yummy ring to it. 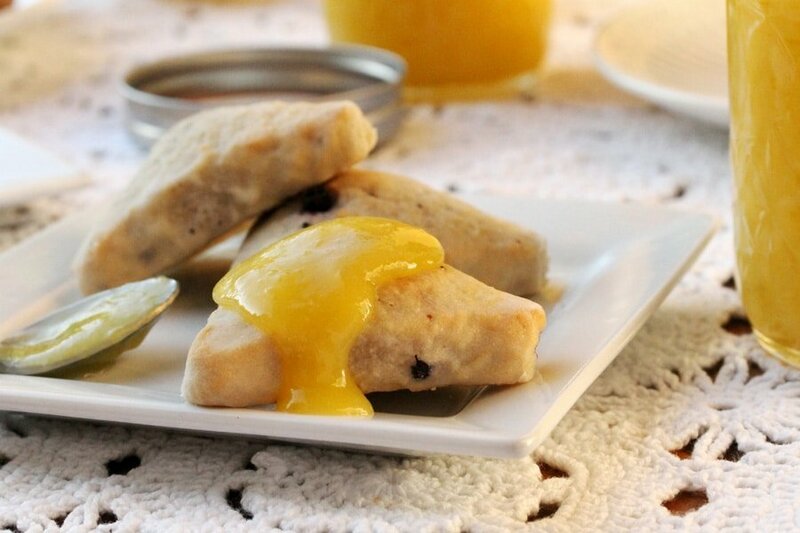 This is an old family recipe that we also call “Lemon Cheese”. We generally make it during the holidays but I like to make it a few times a year to give away as special treats to my friends. I like to spread it on a crispy english muffin but it’s also super delish on any type of toast. And it’s ultra super delish as a pie, tart or cookie filling. 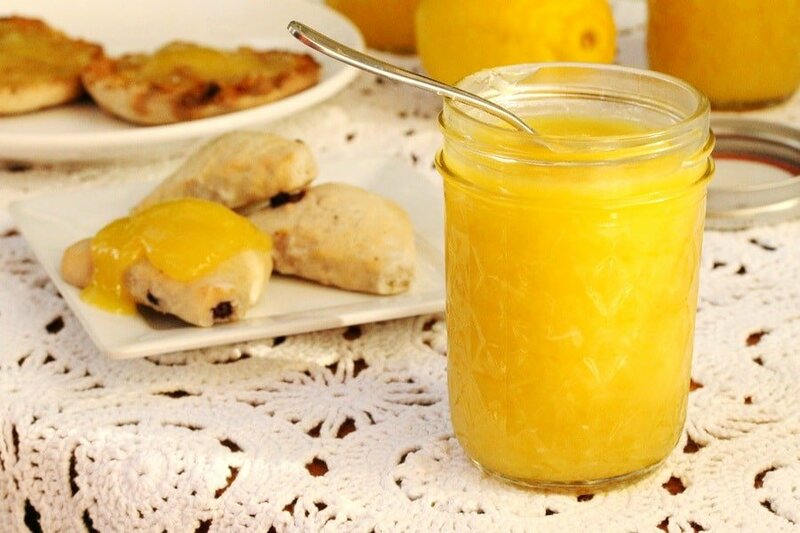 I’ll even admit that there’s been a time or two when I’ve eaten lemon curd right out of a spoon. There are only 4 ingredients and it’s also relatively inexpensive to make, especially if you have a lemon tree or find lemons on sale. 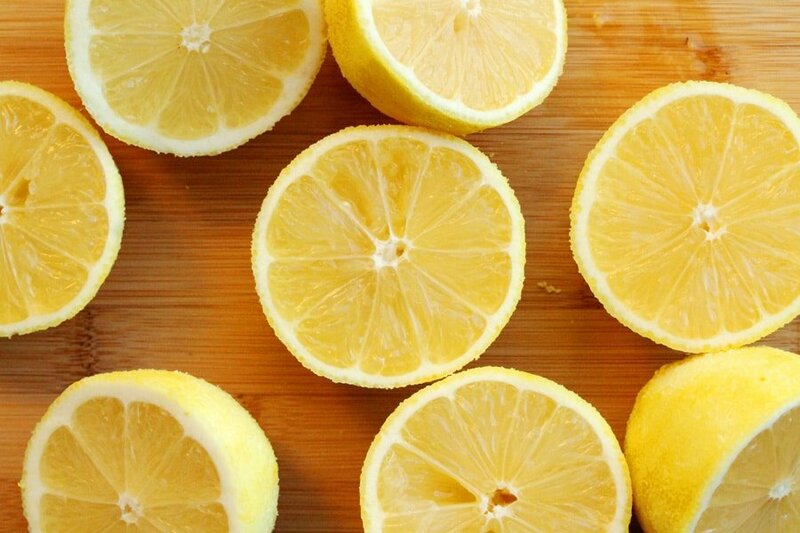 Wash and rinse the lemons. 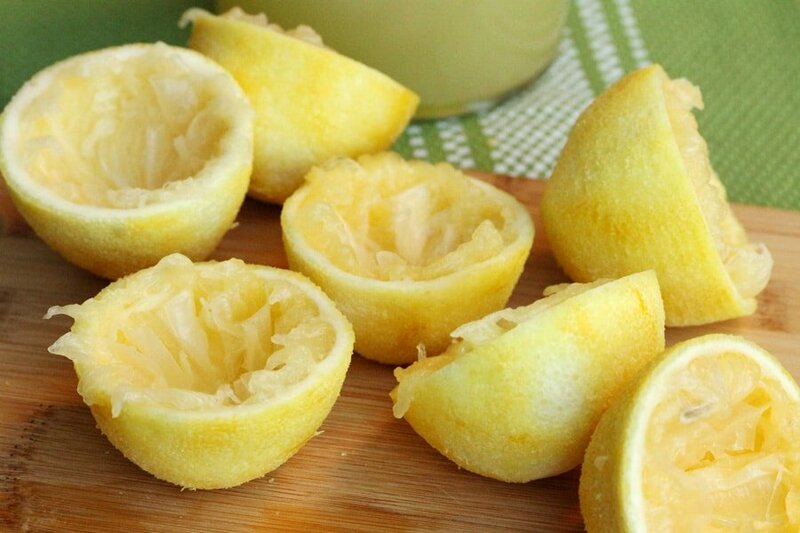 Cut the ends off of each lemon. Using a small grater, remove the thin outer zest (the yellow part) from the lemons. Be careful to avoid the pith (the white part under the zest) because it has a bitter taste to it. 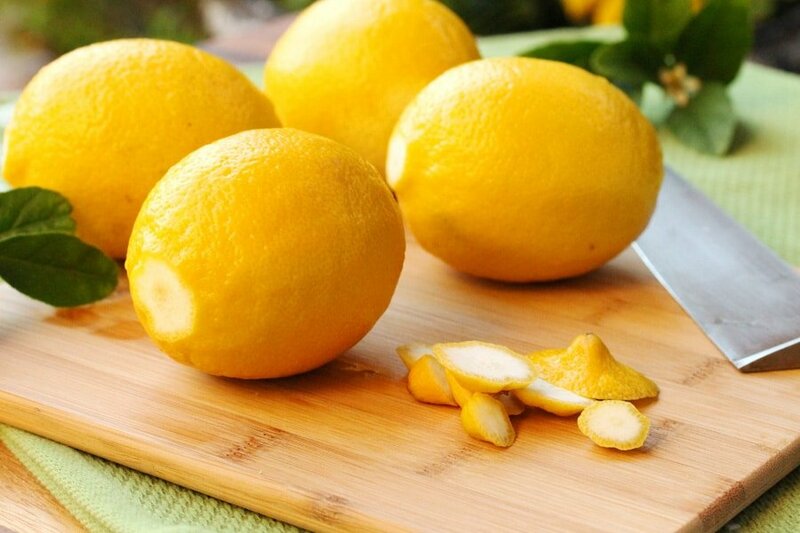 Next, cut each lemon in half. Remove the seeds that are on top of each half. 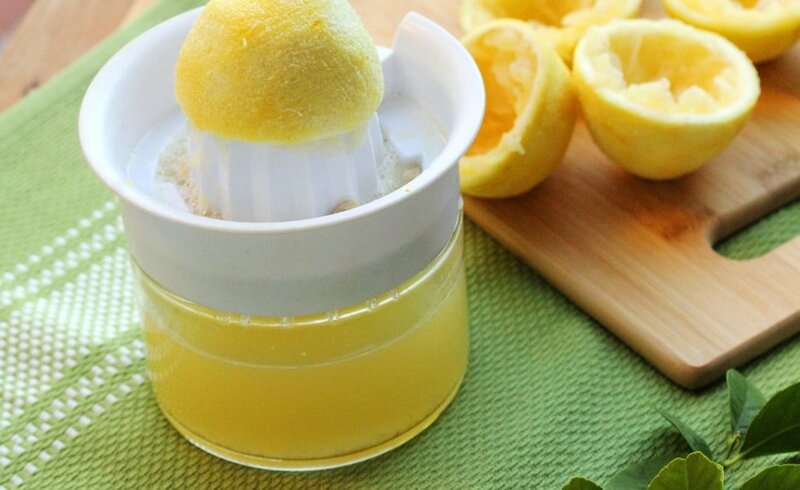 Then squeeze the juice from each lemon. 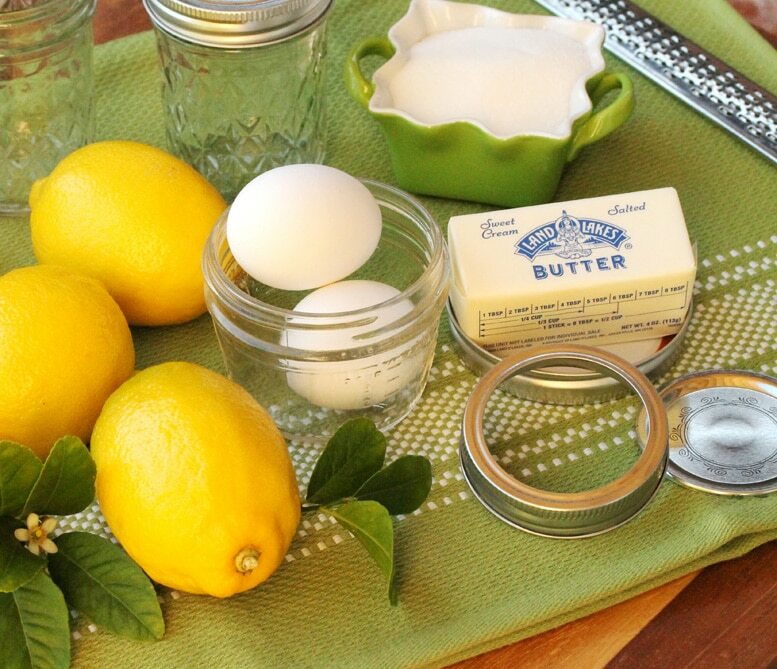 Set the lemon juice aside. Next, add the eggs to a medium size bowl. If possible, remove the small white part by the yolk (this white rope-like strand is called the chalaza; the fresher an egg is, the more prominent the chalaza generally is). 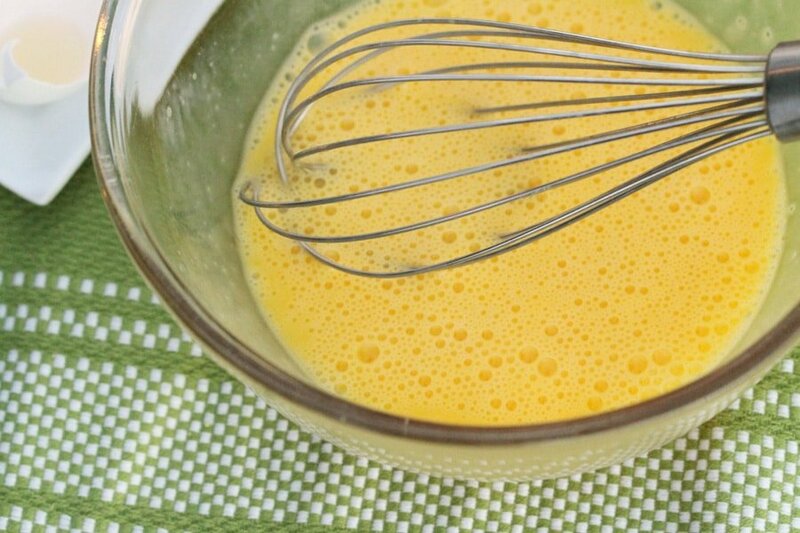 Whisk the eggs and set them aside. 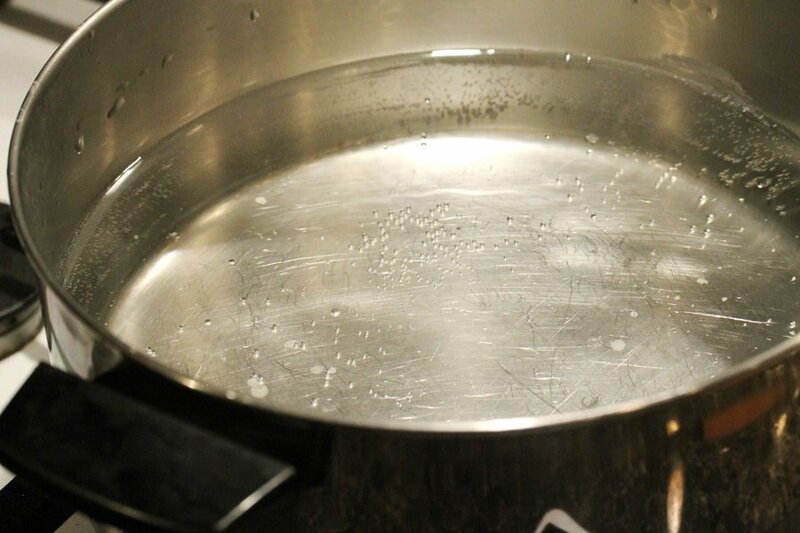 Fill a double boiler with water and bring it to a boil. 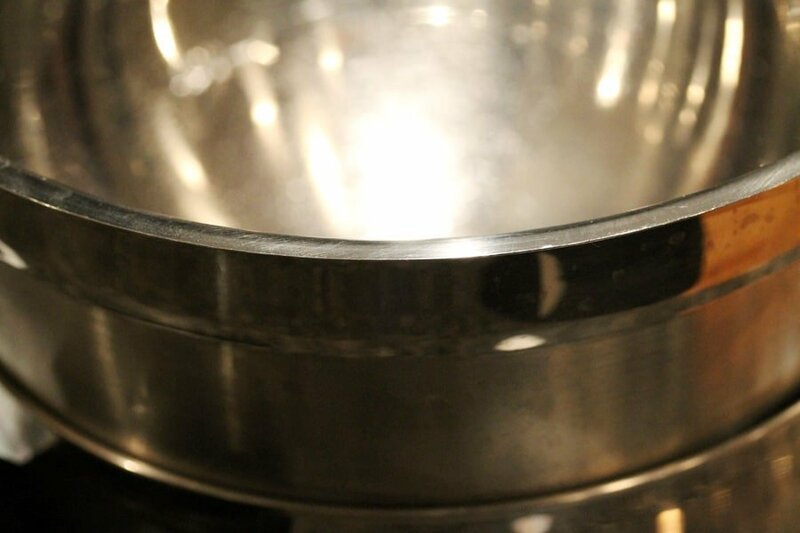 I use a large pan and fill it half full with water…..
….then put a large metal bowl in the pan. 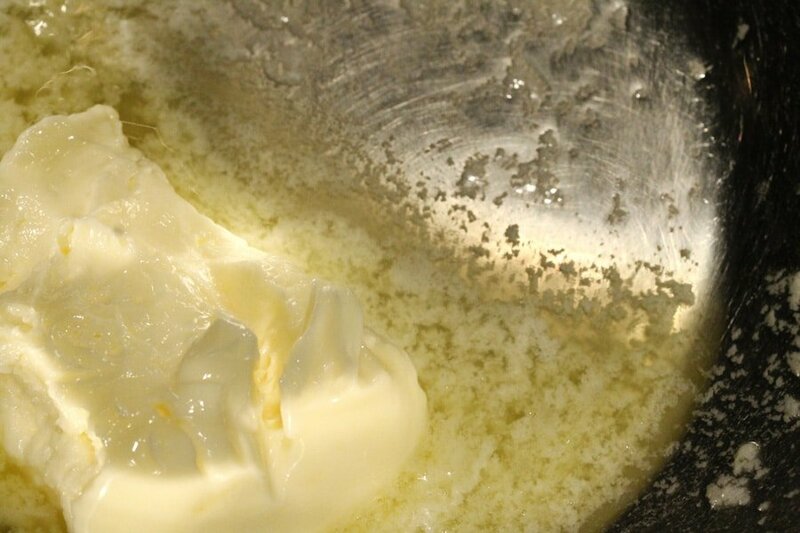 Add the butter to the top of the double boiler. 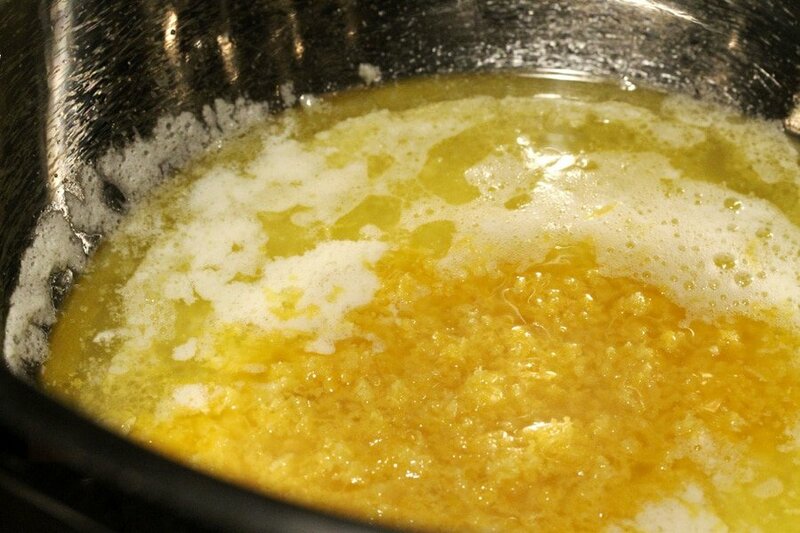 Then add just a little bit of the beaten egg…. 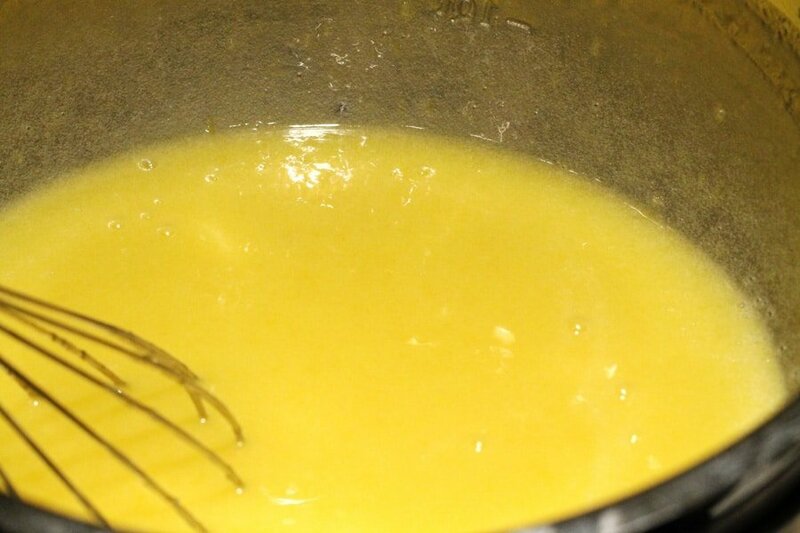 Add a little bit more of the eggs…..
…..and keep stirring the mixture so that the eggs don’t curdle. Constantly stir the mixture and add the egg in a little bit at a time. 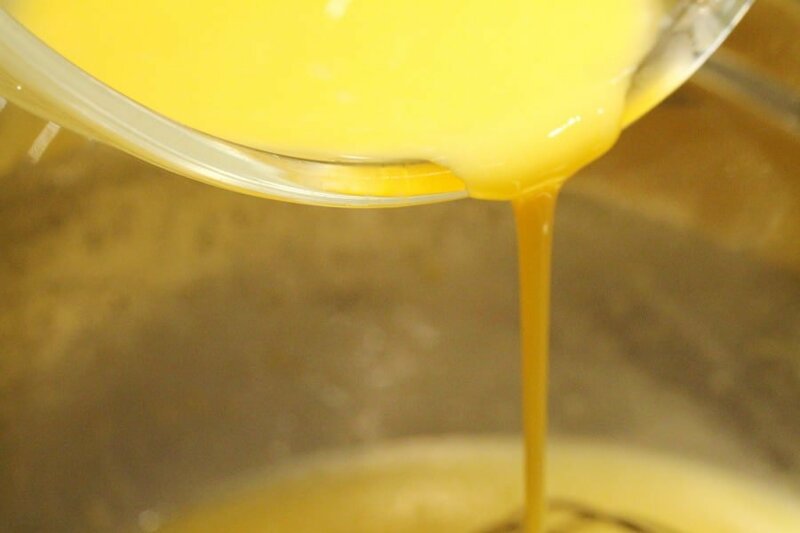 After all of the egg is poured in the mixture, continue stirring over the heat until the eggs are fully cooked. Continue to cook until the mixture thickens to the consistency of yogurt or sour cream. 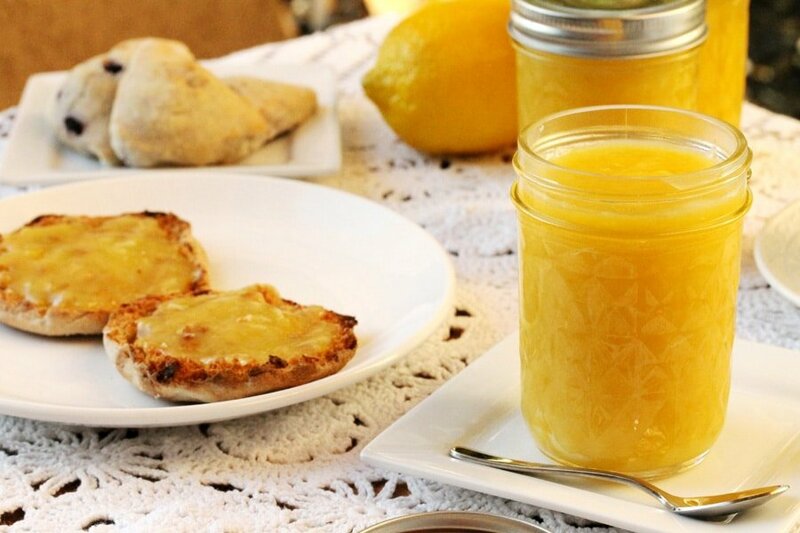 Pour the lemon curd into jars and store in the refrigerator. It should last for 7 to 10 days in the refrigerator. 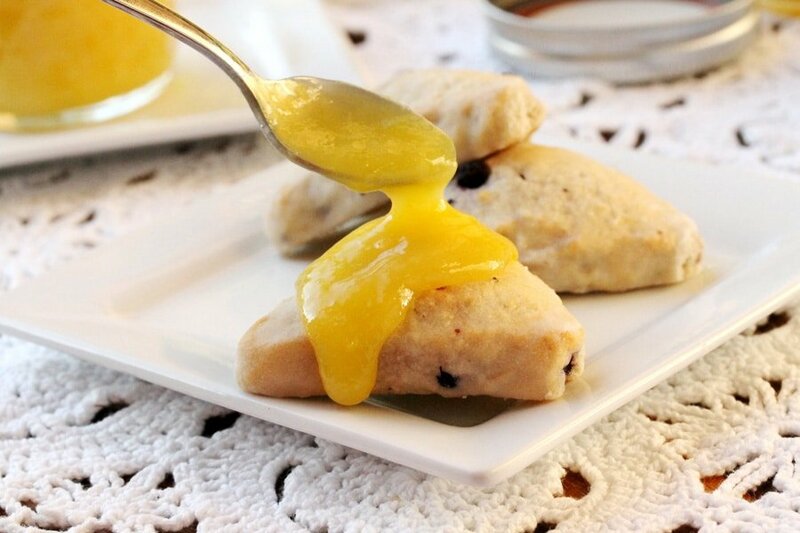 Serve on toast, scones, over ice cream (yum! ), on cookies, in tarts, or as a pie filling. 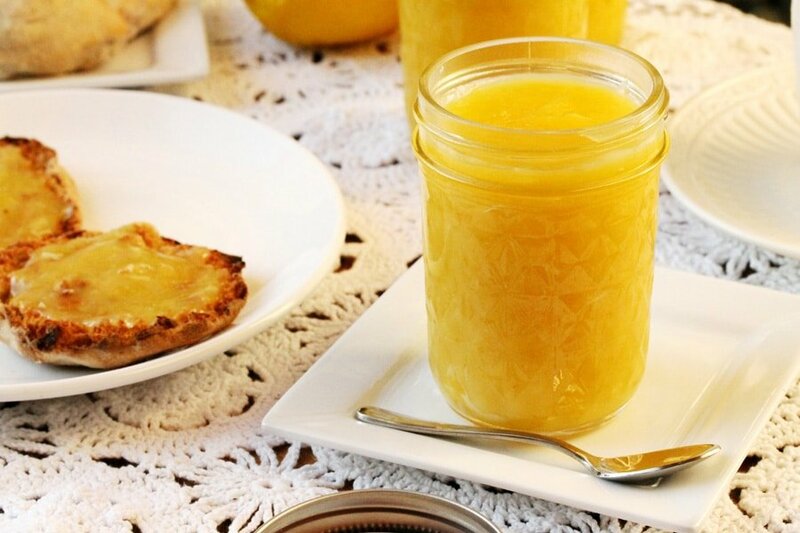 An incredibly delicious...creamy, sweet and tart spread. 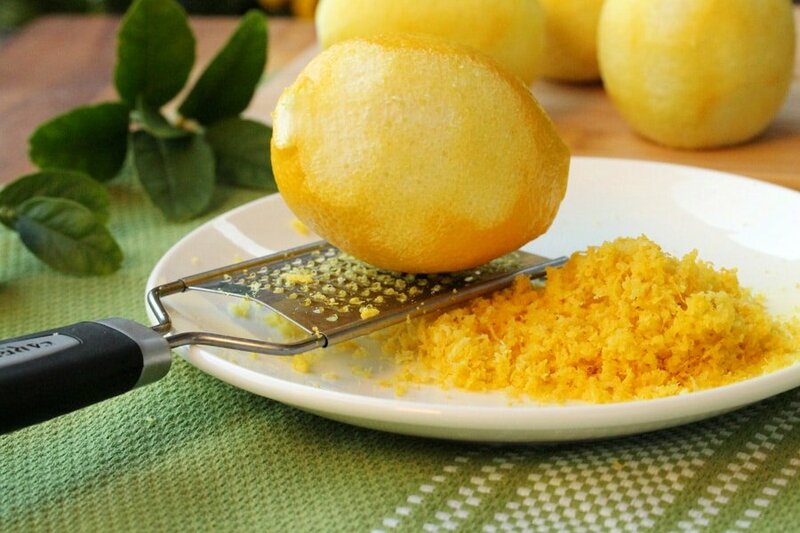 Zesting the Lemon - Using a small grater, remove the thin outer zest (the yellow part) from the lemons. Be careful to avoid the pith (the white part under the zest) because it has a bitter taste to it. Set aside. Juicing the Lemons - Next, cut each lemon in half. Remove the seeds that are on top of each half. 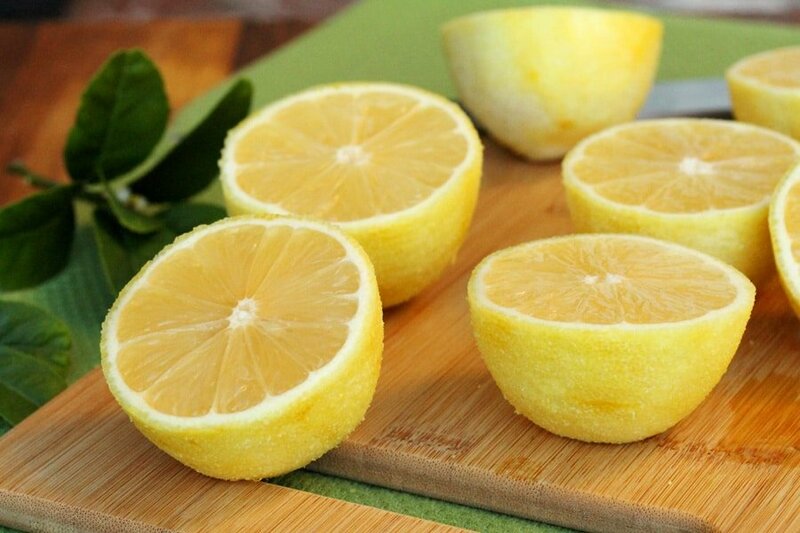 Squeeze the juice from each lemon into a bowl. Set aside. 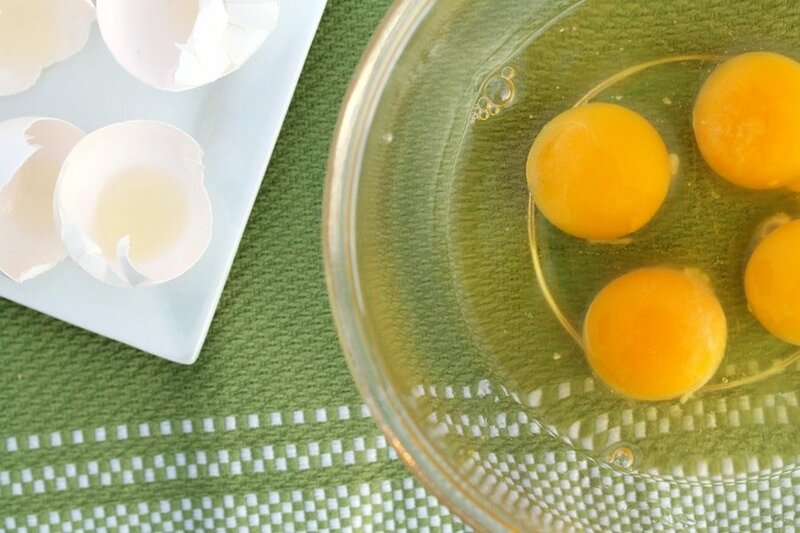 For the Eggs - To a medium size bowl, add the eggs. If possible, remove the small white part by the yolk (this white rope-like strand is called the chalaza; the fresher an egg is, the more prominent the chalaza generally is). Whisk the eggs and set aside for a moment. 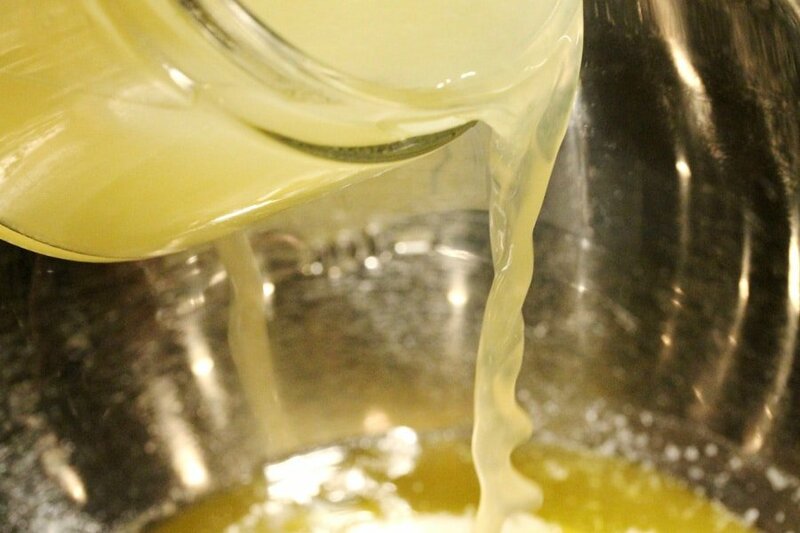 Cooking the Lemon Curd - Fill a double boiler with water and bring it to a boil. To the top pan (of the double boiler) add butter. 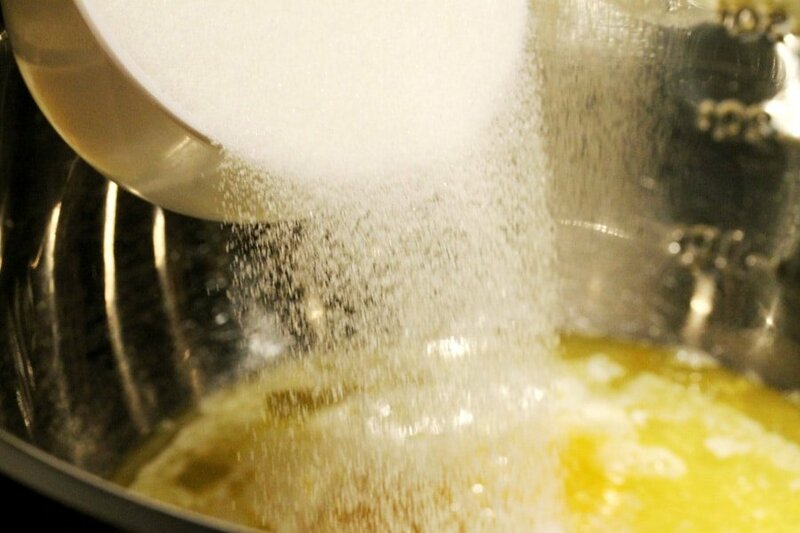 To the pan, add the lemon juice, lemon zest and sugar. 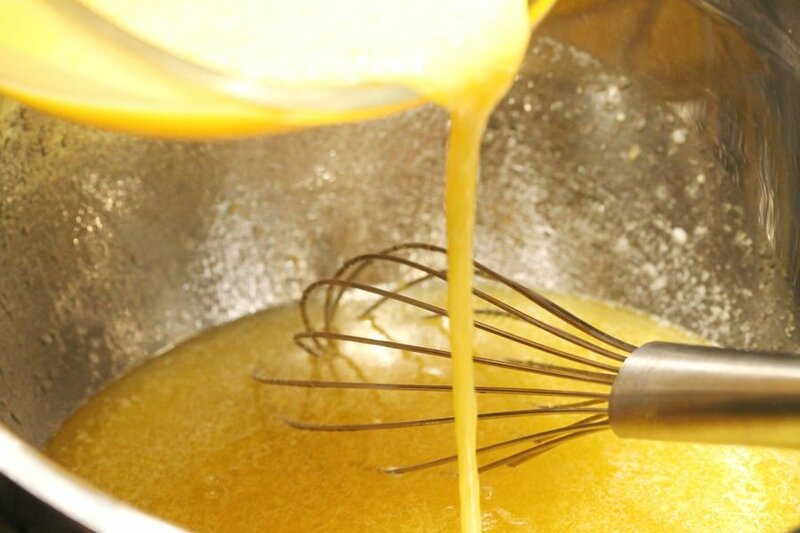 Whisk the ingredients together. 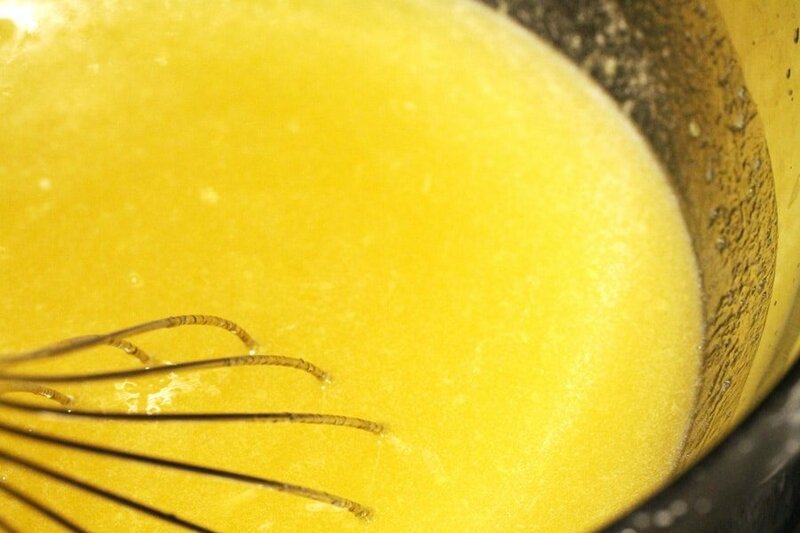 Then, a little at a time, while continuously whisking, very slowly add the eggs. 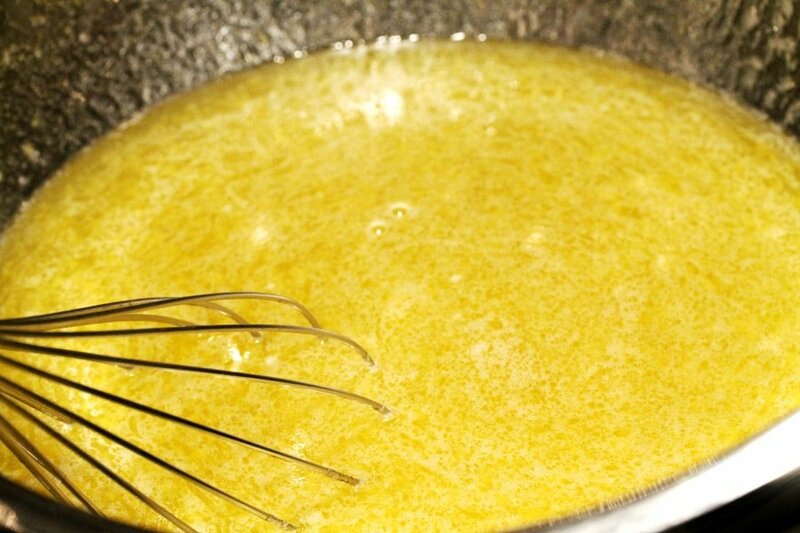 Whisk the mixture each time after adding a little bit of the egg. 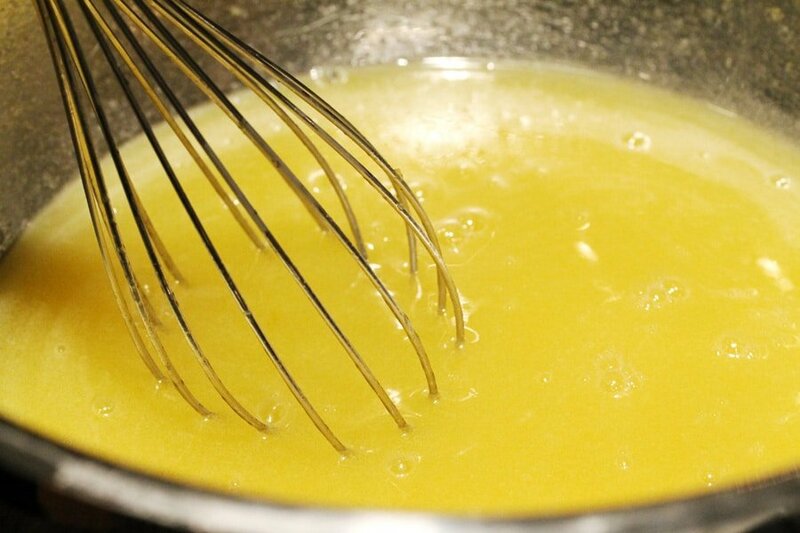 Constantly stir so that the mixture is smooth and the eggs don’t curdle. 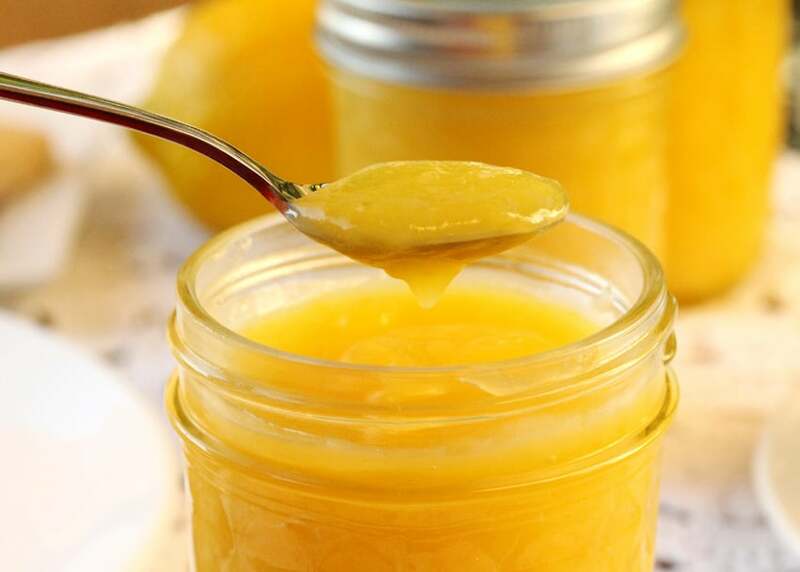 Pour the lemon curd into clean jars and store them in the refrigerator. It should last for 7 days in the refrigerator. Serve on toast, scones, over ice cream, on cookies, in tarts, or as a pie filling. 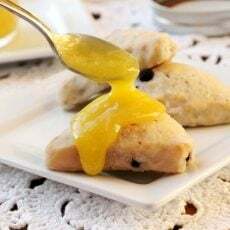 Hi Eli, I think the color may still be a little bit yellow because of the egg yolks but it would taste great with orange peel instead of lemon peel. This is gorgeous and looks so tasty. I gotta try this one. I have never made my own curd. Hi Kim, thank you so much for stopping by.